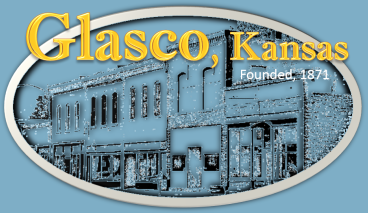 On the morning of January 20, 2009 a letter from the White House was delivered to Glasco, Kansas announcing the Glasco Community Foundation had been designated as a Preserve America Steward. This new initiative had been announced at the Preserve America residential Awards ceremony on May 12, 2008 at the White House. Glasco Community Foundation is among the first eleven designated for this recognition. Preserve America Stewards is administered by the Advisory Council on Historic Preservation in partnership with the Bureau of Land Management. The eleven Preserve America Stewards recognized in mid-January 2009 are: Alaska: Alutiq Museum; California: Monterey State Historic Park; Colorado: Chimney Rock Interpretive Association and San Juan Mountains Association; Kansas: Glasco Community Foundation; Maryland: United States Lighthouse Society; Nationwide: Passport in Time Program; New Jersey: InfoAge Science-History Center; New Mexico: Cornerstone Community Partnerships and New Mexico Site Watch; and Ohio: Oberlin Heritage Center.